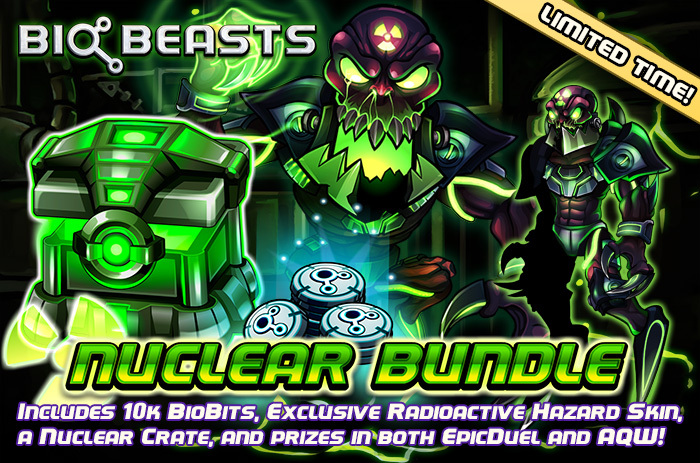 Our Biggest BioBeasts Update EVER is LIVE! 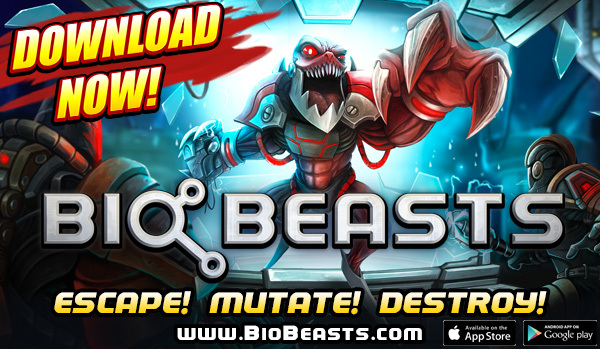 BioBeasts is a new game for Android and iOS where you take control of powerful mutant beasts and battle through waves of robots, laboratory defenses, and hulking bosses. Claw, bite, blast, and mutate your way to freedom while freeing new beasts with unique powers! Unlock and upgrade Mutations to customize your beasts, and craft your own strategy! 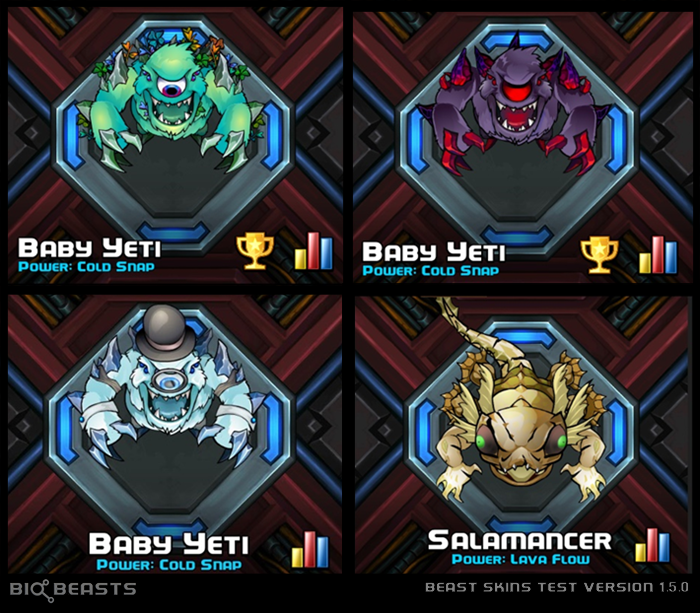 BioBeasts Version 1.5.0 is NOW LIVE! 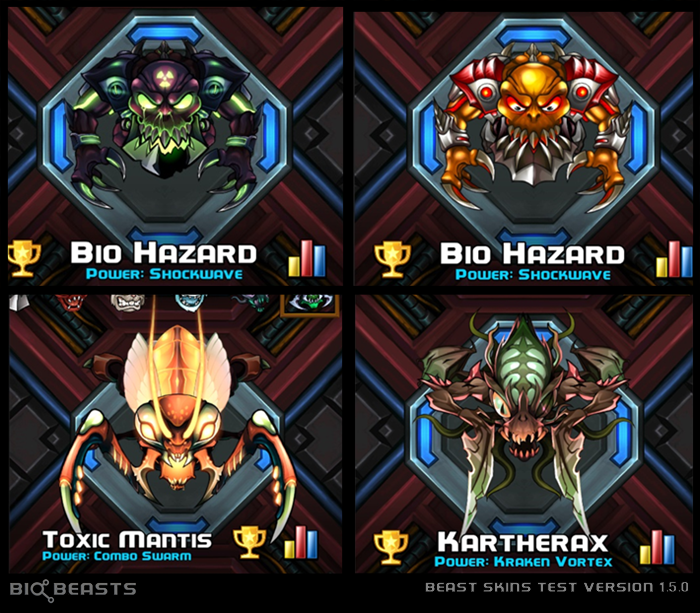 Get BioBeasts NOW on Android and iOS! 22 NEW Mutations to collect! Prize code to redeem for bonus items in EpicDuel and AdventureQuest Worlds. Coming to BioBeasts 1.5.0 are Batteries. Plink needs 10 Batteries to warp in a Mutation-filled Crate to help power up your beasts! Batteries are earned after completing each wave with a bonus battery for defeating the final boss, meaning it's possible to earn enough Batteries for a Crate on any Normal, Hard, or Insane run. Inside the Mutation Lab you can put those Batteries to good use! Use them to warp in new Crates filled with Battle Mutations, Beast Mutations, and Beast Skins! After Plink warps in a Crate, it must be unlocked before opening. You can bypass this process with BioBits. Plink will also bring you a free crate every 8 hours. 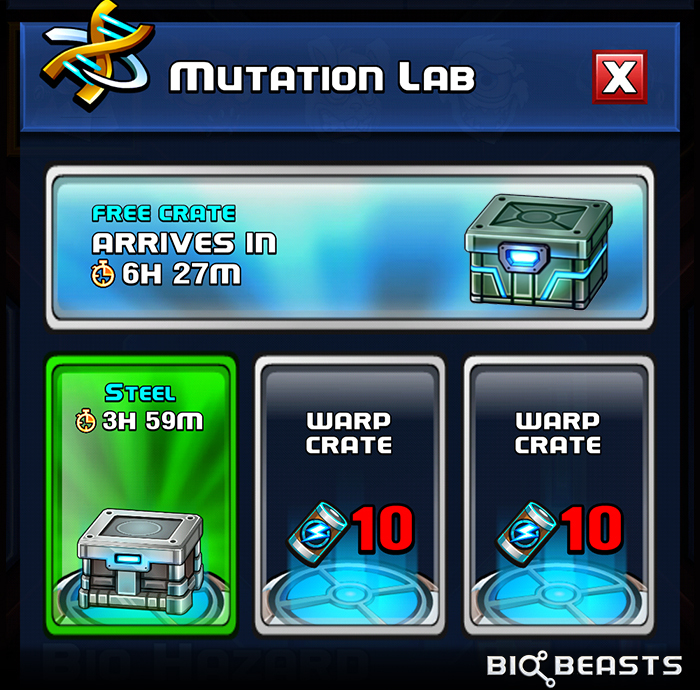 This gives you a great reason to check back on BioBeasts, even if you don't have time to play a few waves! Each Crate is guaranteed to contain some kind of loot. However, not all Crates are created equally. Iron and Steel Crates, being the most basic, hold the fewest Mutations. Occasionally, Plink will get lucky and warp in a more luxurious crate like a Nuclear or Quantum Crate, which are guaranteed to contain Rare Mutations! 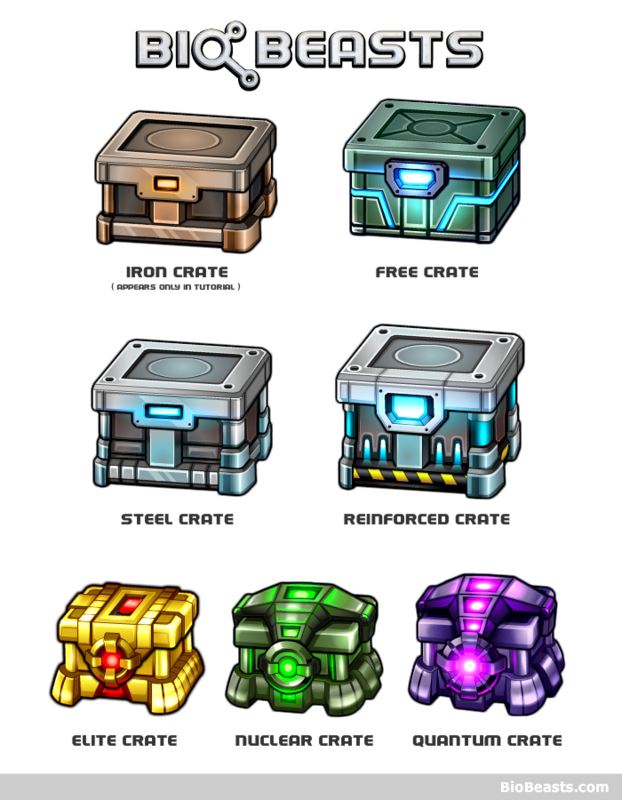 Below is the breakdown of what you can expect from each type of Crate. Iron Crate Only seen in the Tutorial of the game, this Crate has the same capacity as the Steel Crate with 8 Mutations inside, but the unlocking process is very fast. Free Crate Plink will find you a new Free Crate every 8 hours. Free Crates contain 15 Mutations. Steel Crate This most common Crate yields 8 Mutations. Reinforced Crate 15 Mutations, including at least 1 Rare. Elite Crate 30 Mutations, including at least 3 Rare. Nuclear Crate 70 Mutations, including 7 Rare and 1 Ultra. Quantum Crate 250 Mutations, including 25 Rare, 5 Ultra, and 1 Epic. Once again thank you for joining us along this creative journey! We couldn't have done this with out your support! We plan to always add new and interesting things to read here on our dev blog. Remember to follow us on Twitter and like us on Facebook for latest updates!